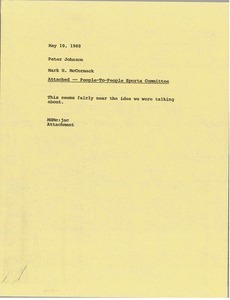 McCormack writes regarding the people-to-people sports committee. 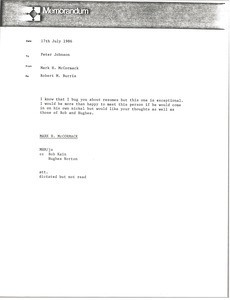 McCormack asks for an idea regarding Nancy Lopez as suggested by "Buddy" Clement in the attached letter. 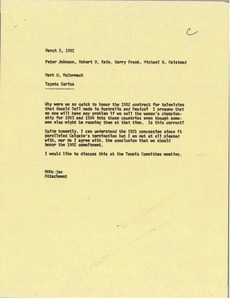 McCormack wants to discuss how they might approach various athletes at their upcoming Team Sport meeting. 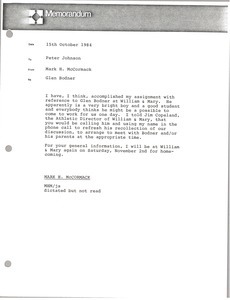 McCormack thinks he has completed his assignment with reference to Glen Bodner at William and Mary. 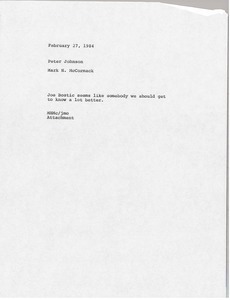 McCormack writes regarding Jeffrey Jordan. 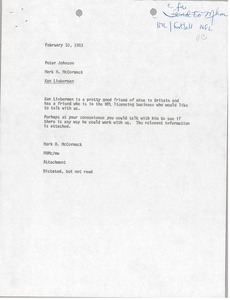 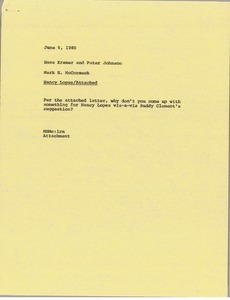 McCormack forwards the resume of Robert M. Burris, who McCormack would be happy to meet, as his resume is exceptional. 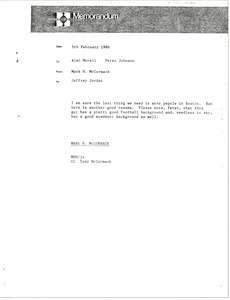 Concerning the attached letter from Ken Lieberman regarding a friend of his who is in the NFL licensing business. 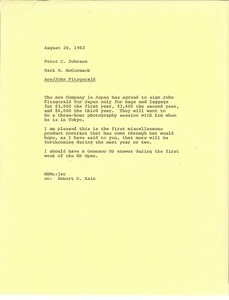 Concerning a three-year contract between Ace Company in Japan and John Fitzgerald for Japan only bags and luggage. 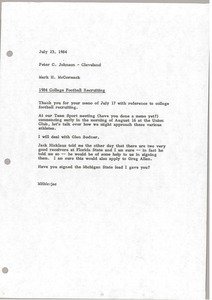 McCormack writes regarding Joe Bostic.